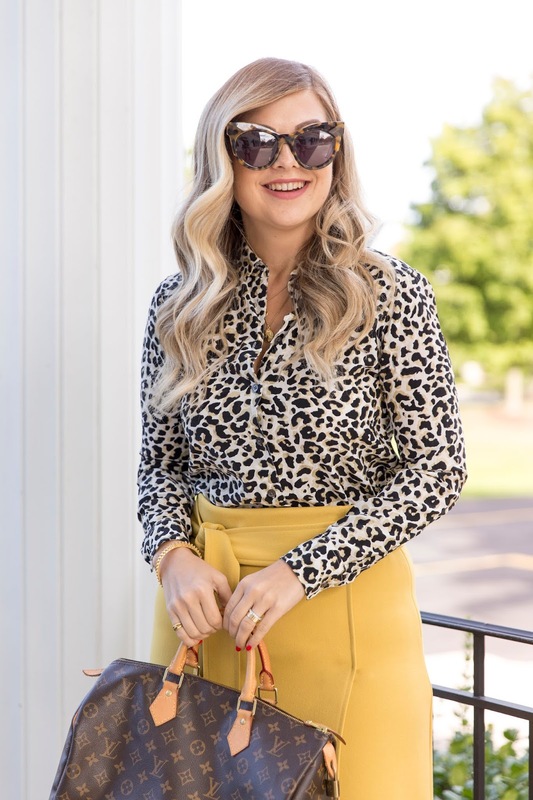 Is there anything better than a good animal print and mustard yellow combo? I think not. This is my go-to pattern combo for September and October and I love all the possibilities of colour matching you can add in with this (black, beige, emerald green, burgundy, navy blue and more). This outfit was just perfect for the weather but on chillier days, I'd consider a trench coat or black moto jacket. I love this look! I am obsessed with leopard and mustard colour combinations for fall. Aw thanks so much Patty!